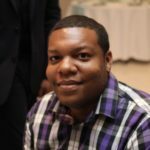 Washington D.C.- The Capitals dropped the slogan of “Rock the Red” a few years back in favor of the current theme “ALL CAPS” but the energy in Capital One Arena Thursday night might have reminded you of that red radar color at the eye of a hurricane; it was electric. Fans broke out into a “Back to Back” chant before the National Anthem was even performed and the cheering never stopped; especially when Nicklas Backstrom scored the first goal of the playoffs halfway through the first period. Backstrom’s goal was only the second shot on goal for the home team in the opening frame; despite controlling the puck right out the gate. Backstrom followed up with his own “back to back” moment scoring his second goal of the night just over three minutes later to give Washington a 2-0 lead. 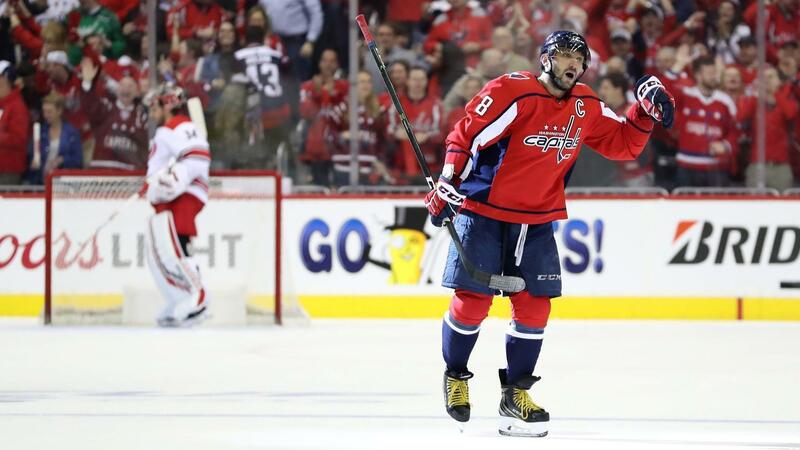 Just when you might’ve thought it was impossible for fans to get any louder, the Caps got their second power play of the night (Backstrom’s second goal was a PPG) and Alex Ovechkin got in on the fun giving the defending champs a 3-0 that they carried all the way into the third period. Defenseman John Carlson registered an assist on all three of the Capitals’ first period goals; giving him his third career 3 assist playoff game, Carlson also led the team in assists during the regular season with 57. Entering the final period, no one needed to be reminded that the Tampa Bay Lightning held a 3-0 lead over Columbus just the night before and the Blue Jackets came back to win 4-3. Carolina certainly placed their bid to make the same thing happen in the final 20 minutes. After both Nic Dowd and Carl Hagelin both missed opportunities to give their squad a 4-0 lead; it was Andrei Svechnikov who gave the Canes their first goal of the series with 14:53 to go in regulation. Just over two minutes later, the 19-year old Svechnikov made it a one-goal game tallying his second of the night; Capitals goaltender Braden Holtby said after the game both goals were shots he should’ve stopped. 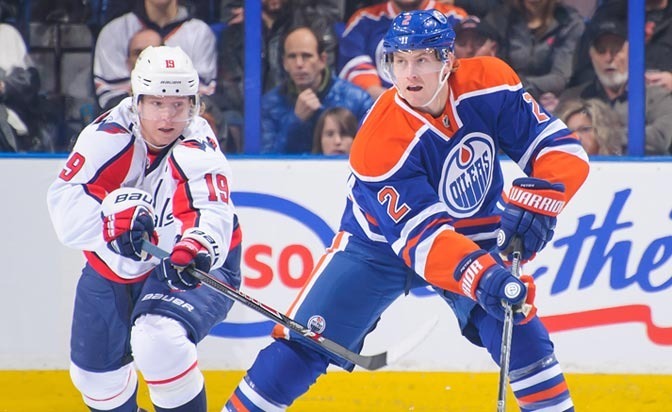 Throughout the regular season and entering the playoffs, the Washington penalty kill unit was a huge question mark. That unit came up huge late in Thursday night’s contest staving off not one, but two Carolina power plays in the final nine minutes. The second Carolina PP turned into a 6 vs 4 fight as Hurricanes goaltender Petr Mrazek made his was to the bench in exchange for an extra skater. Despite the 6 vs 4 and 6 vs 5 advantages for the visitors in the final minutes, Lars Eller scored on the empty net with 36.6 seconds left to secure a 4-2 game one win for the team in red. After the game, head coach Todd Reirden was happy with the result but not exactly the overall performance of his team. 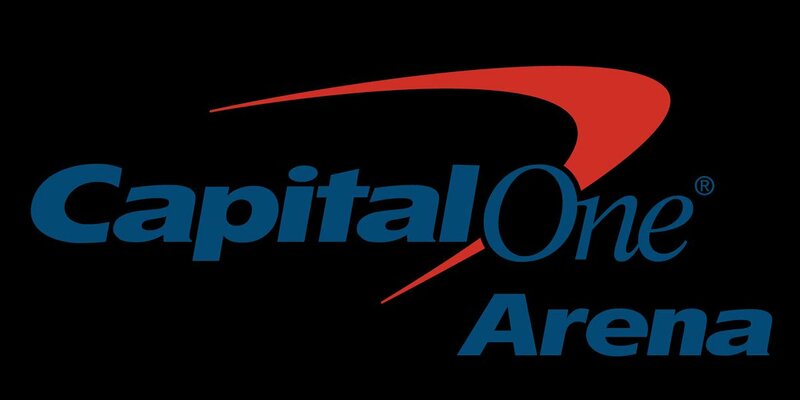 The Caps and Canes will face off in game two of this first round series Saturday afternoon at 3:00pm at Capital One Arena. 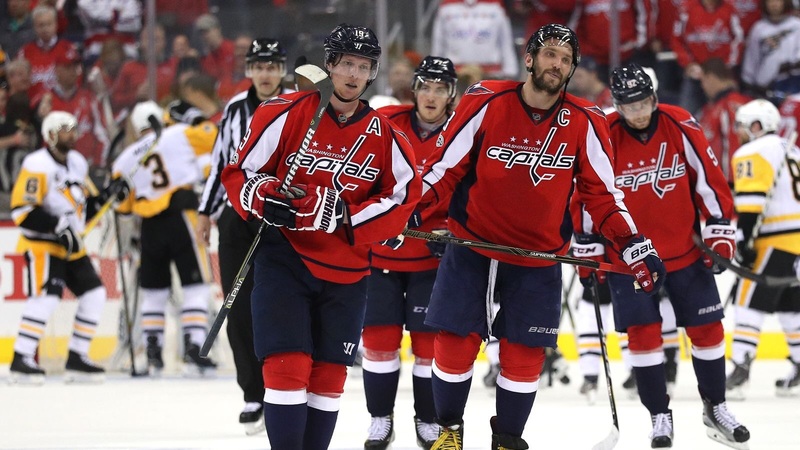 ← Who Will Emerge as the Capitals’ Unexpected Fan Favorite This Postseason?